The town of Mirik (meaning “place burnt by fire”) is nestled in the foothills of the Himalayas, not far from the major growing region of Darjeeling and also in close proximity to Nepal. Mirik has a number of tea gardens that use the “China-Jaat” varietal of tea plant, which is highly sought after by many tea merchants. It differs from the big-leaf Camellia Assamica varietal of other Indian regions by being more flowery in aroma. 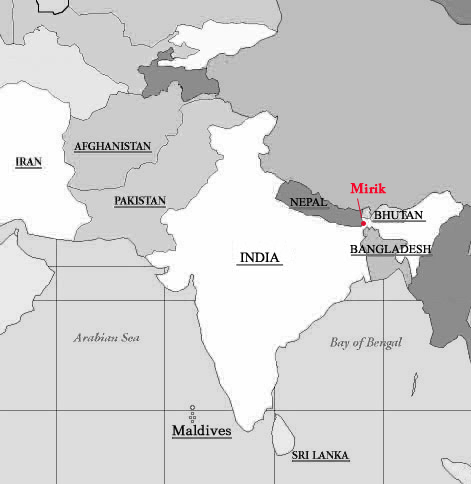 This entry was posted in Tea Maps and tagged mirik, Tea Map.